Want to make your school great? Joining PTO Today Plus, our premium community of PTO leaders, means that you immediately have everything you need to make your group great. As a Plus member, you’ll get instant access to digital versions of PTO Today magazine, expert guides, and printables, as well as first dibs on sampling programs, discounts on products and programs, and personalized support from our team of advisors. So team up with the nearly 2,500 school parent groups that are already part of Plus and start getting the resources and benefits you need for the best school year ever! Membership is only $149 per year. Join the Plus community today! Note: You’ll be asked to check if your school already has a Plus membership; simply enter your email address and click the “continue with order” button. 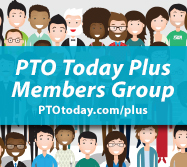 As a Plus member, you get exclusive access to the PTO Today Plus Facebook group. It’s the place to go to get immediate updates on sampling programs and new Plus benefits. It’s also a great way to meet other Plus members and share ideas together. Your group has immediate access to all eight of our expert guides (a $332 value!). Any group member can use these as a resource any time! Topics include meetings, the treasurer’s role, the secretary’s role, parent involvement, school year startup, volunteer and teacher appreciation, auctions, and tools for new leaders. Plus members get the first invites to our popular sampling programs, which is good news because these programs fill up quickly! With advance notice, you get to choose first if your group wants to participate before we open up the program to the entire PTO Today community. Recent giveaways include LeapFrog® Epic™ Academy Edition learning tablets, Modern Table Meal Kits, TruMoo® Chocolate Milk, and many more! 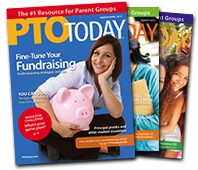 Plus Members can access PTO Today magazine anytime! You’ll want to check out the March/April issue on fundraising strategies, including an article that maps out a full year of fundraising plans and list of apps that help groups manage their fundraising programs. In a hurry? Download individual printables, like financial worksheets, from the Plus-only section of the PTO Today File Exchange. Plus members get a customized flyer service to help them save time! 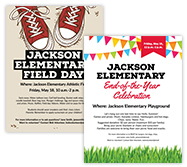 A variety of designs are provided and members select a design and provide the flyer information to us. We create the flyer and deliver a finished product. 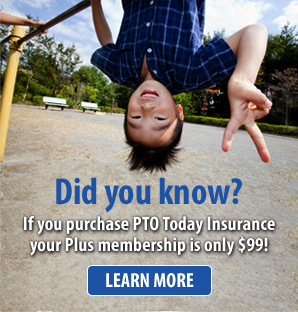 Plus members benefit from discounts on PTO Today programs and products. 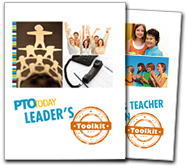 PTO Today Live: Plus members get a 50% discount on the PTO Today Live expo registration fee. Finance Manager: You’ll get a $20 discount on the purchase of Finance Manager, our accounting software package that was designed from the ground up with PTOs in mind. 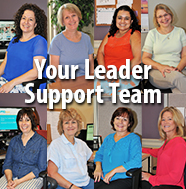 Whether you are looking for guidance on starting a PTO or in need of a quick teacher appreciation idea, our leader support group is available to help you with your most urgent concern. Our team is made up of parents, school volunteers, and former PTO executive board members, so they’ve been through it all and love to share their expertise! From first-timers to veteran volunteers, we help leaders of every stage make their group successful.